Travel in style with C&S Limo Service, an executive transportation company that has been servicing The Woodlands area for over 20 years. Whether you are a tourist or a resident or at The Woodlands for business or leisure, we have a collection of top-of-the-line luxury vehicles for your every need. As a trusted company in car service, C&S Limo Service assures you of well-maintained vehicles that will make your travel the best in style and comfort. Our professional chauffeurs drive you around The Woodlands and take you to your desired destinations. We assure you that your car service will arrive promptly and will safely transport you around the area. The high level of customer satisfaction feedback that we have gathered throughout the years will attest of our efficient and impeccable service. Located north of Houston, The Woodlands is an up and coming suburban destination that is home to several shopping malls, private resorts, golf courses, and many more attractions. The Woodlands has also become an upcoming location for some large corporations and has started to make The Woodlands home to its premier corporate accounts. Consequently, this prime location is now becoming both a tourist and business destination. C&S Limo Service has played witness to the growth and development of The Woodlands and has kept in pace with the progress. 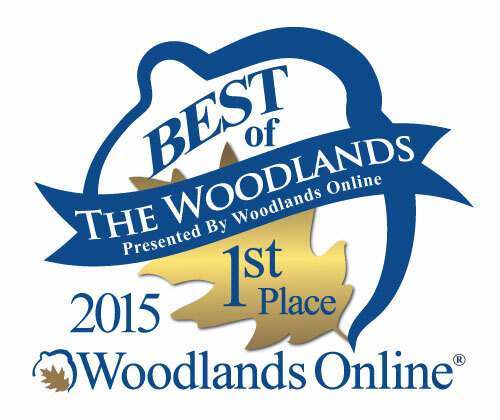 We have been voted best of The Woodlands for transportation services 5 years in a row! The Woodlands takes pride of several landmarks and destinations that must be visited and experienced. Simply known as the Woodlands Pavilion, this is a grand amphitheater that is used as a concert venue for artists like Lady Gaga or Tony Bennett. This is a perfect place to sit on the grass and just enjoy good music with the company of your family or friends. This is another good destination not to miss, especially when you’re with the kids. This place can be both entertaining and educational for the children and adults because of its interactive and fun exhibits. Take a breather from the bustling cityscape to have a stroll or bike ride. This nature preserve connects to Spring Creek where several birds such as herons live. Here you can choose to follow the trail or just relax while bird-watching. The Woodlands is such an active, lively place for a small suburb. It is host to some activities that is starting to gain popularity among that locals and the tourists. This annual event is held every first Saturday of March. Runners from all over the world can come and join the full or half marathon organized by local volunteers. Golf is also a sport that has gained popularity at The Woodlands. It has become host to annual golf events organized by the PGA itself. Overall, The Woodlands has become a place for fun games and sport activities that can be participated by all members of the family. Of course, when you are here at The Woodlands, you cannot pass up the chance to try real Texan barbecue, pastries, and many more treats. One of the best in town, this restaurant serves the best beef brisket and pulled pork; however you need to get there early because they only serve until they are sold out. This is a pastry shop that is popular to both locals and tourists. This pastry shop is known for their bundt cakes that are tastefully designed. They can custom design cakes for birthdays or weddings or you can just sit in and buy one of their bundt cupcakes. This restaurant is known for their ‘deli’ ambiance which is slightly unique to the Texan feel. As versatile as the place, our company vows to attend to your every transportation need. Whether you need a luxury car for business, a bridal car, or an executive bus for your family’s outing, we can assure you of a personalized and efficient service. So the next time you plan to visit The Woodlands, consider C&S for a memorable experience.